This is for a Garden Statue Curious Bunny Outdoor Garden Sculpture from Shopatusm. This little bunny is curious about what's going on in your yard! 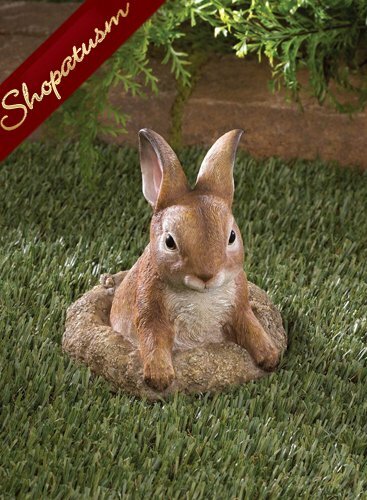 Place this darling sculpture in your garden and delight in his realistic details, from his subtle coloring to his fine fur. The base looks like a freshly dug hole in your yard, but who can be angry at a face like that? Item weight: 0.8 lb. 5 1/2 inch x 5 1/2 inch x 6 1/4 inch high. Polyresin and stone.